Throughout the ages, people have recognized that in the universal language of form, the circle spells unity, wholeness, and oneness. In a love-infused circle, layers of tension and fear melt away that we didn’t even know we were holding. At last we can simply be. Something deep within us that had closed down amidst life’s business now begins to unfurl. This sense of expansion brings relief, gratitude, wonder, and awe. Finally, we begin to hear the quiet voice of wisdom. Circlework, the practice I teach, is a spacious experience that includes time to connect both with ourselves and others. Movement, poetry, storytelling, ritual, communion with nature and emotional healing are all part of the process. Here, we don’t have to pretend or compete. There’s nothing to achieve, accomplish, or figure out. Paradoxically, this space of non-doing and non-striving is the womb of true transformation. Sensing an opening, our soul begins to wake up and reveal itself. Our relationships become more intimate, authentic and fulfilling. We leave the circle changed, renewed, reborn, with greater clarity and courage and with a sense of support that goes beyond the actual participants in our circle. As someone who unites Jewish and Palestinian women in the Middle East, I know how much skill circle facilitation can require. The circle is a simple form, yet the dynamics that unfold within it can be complex. At present, counselors, psychologists, and ministers are often required to lead circles without sufficient training. Few are adequately prepared to deal with the challenges that can arise. This is why I’m on a mission to educate leaders about the value, importance, and skillful use of circles. The better we understand their dynamics the more effectively we will know how to use what is, without doubt, a potent medicine for healing ourselves and our planet. Individually, a thousand rays of sunlight can’t start a fire. But take a lens and focus them all on one point, and they can. Individually, we cannot heal the planet. Together, we can. Circles are the lenses that can help us collectively focus our intention. Anything we want to do as a community, they can help us do more effectively. 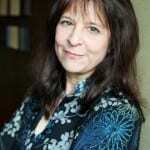 Jalaja Bonheim, PhD, is the author of five books including The Sacred Ego: Making Peace with Ourselves and Our World. Founder and director of the Institute for Circlework, she has trained hundreds of women in the art of skillful circle leadership.